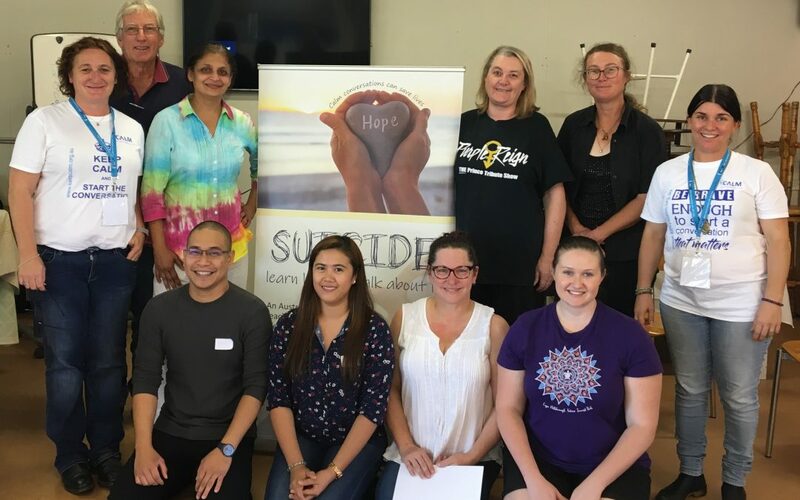 Over the weekend, members of the Banana Shire community came together to learn how to have life saving conversations with someone who may be contemplating suicide. It was a CALM one-day workshop delivered by CQRH’s Project Officer, Deirdre Fagan-Pagliano, and Jillian Mouzouris, who owns GrassRoots Living Room in Biloela. Both women generously volunteered their time to deliver the free training. CALM stands for Connect, Ask, Listen and Monitor. It’s an evidence-based, easy to implement suicide intervention program developed in Australia. It outlines how to help a person find hope and empower them to change their thinking and plan for a future. I attended the workshop and, though it was confronting at times, it was a powerful experience which has already helped me connect and listen to the people in my life. We were taught how to ask questions and really encourage someone in pain to talk about and share that pain, then how to empower them to grab hold of hope. I am now confident I can talk to someone who is considering ending their life and conduct a positive intervention. It is also clear to me just how important this training is. I firmly believe that this training will save lives and I encourage everyone to participate in something like this. The workshop was also met with overwhelmingly positive feedback from the other participants. Thanks to the funding CQRH received from the Queensland Government’s TRIAC Fund and the Banana Shire Council as well as donations from local businesses: First National Real Estate Biloela, Westpac Biloela and the Silo Motor Inn, fourteen local community members were trained to deliver this program to the Banana Shire. There are several workshops already being planned, you can find out more about them here. CQRH would also like to encourage workplaces, organisations, sporting groups or even social groups who would like to participate in this training to contact us. Remember, preventing suicide is everyone’s business. For help or information call Lifeline: 13 11 14, Suicide Call Back Service: 1300 659 467, beyondblue: 1300 22 4636.